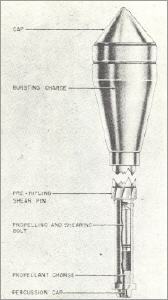 This hollow charge A/T shell was also used with the smooth bore Flare pistols. It needed a special attachment to the gun to fit the pre-rifled collar. Penetration depended on the angle in which the grenade hit the target. Under 45 there was no significant damage. 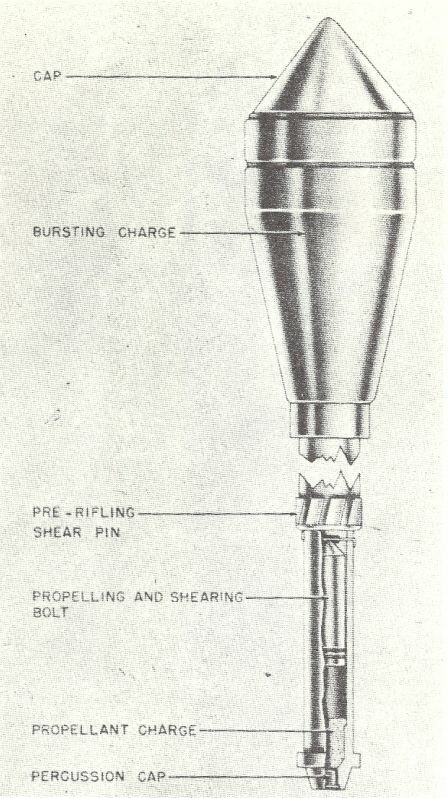 60° to 50° penetration of 50mm, 70° to 60° penetration of 60mm, between 90° to 70° the grenade penetrated up to 80mm. Best results were at a range of 50meter. The grenade could be launched up to 75meter.